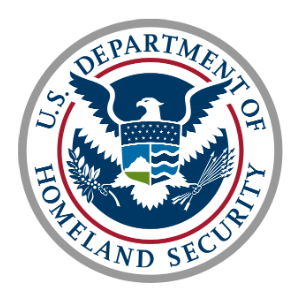 OST has been committed to a US Department of Homeland Security insurance program since 2003. We are the primary contractor assisting the customer with administering the program, which manages approximately 5.6 million policies encompassing more than $1.2 trillion of coverage. Originally brought on to offer a technical solution to move the customer toward modernization, OST’s expert personnel have been providing technical, business, organizational, and on-the-ground assistance in the United States wherever major storms cause flooding since 2009. Some of the storms include the 2010 Nor’easter, Hurricane Irene, Tropical Storm Lee, Hurricane Isaac, Super Storm Sandy, the 2016 Louisiana severe storms, Hurricane Matthew, Hurricane Harvey, Hurricane Irma, and Hurricane Maria, all of which resulted in billions of dollars of damage. In support of the customer’s mission, OST provides flexible, responsive, and deep IT, business, and field response capabilities. Over the years, OST has established multiple process improvements through our focus on operational excellence, exceptional performance, and customer experience. When OST began working on the project, the customer had multiple legacy systems residing in various locations. OST proposed the consolidation and migration of the systems to a highly secure FedRAMP Government Owned Government Operated (GOGO) Cloud Infrastructure. This centralized the technology function and reduced complexity as well as cost while heightening system resilience and security. Another key mission challenge is the nature of dealing with disasters, unexpected by definition and of unknown size, timing, and frequency. OST has developed a strong on-demand mobilization capability to meet surge requirements in support of disaster response, while ensuring day-to-day operational continuity. As a government-backed entity, the customer must maintain a delicate balancing act of remaining financially solvent while serving citizens in the face of catastrophic events with quality and affordable insurance. OST responds to this challenge by focusing on improving operational efficiency and the customer’s experience. OST’s work has benefited a variety of stakeholders, including Federal, state, and local governments and communities; insurance companies; vendors; and insurance policyholders. As part of customer service, we increased awareness of the customer by developing collateral, and direct mailing to millions of stakeholders. We have also helped increase risk awareness by supporting hundreds of outreach sessions across the country. Together, these and other initiatives help the customer meet its mission.